Eden Park at Ironwood apartments features 2 and 3-bedroom apartments in a quiet setting north of the University of Florida in Gainesville, Florida. Individuals looking for a home that provides a little distance from the University of Florida campus will enjoy living at Eden Park at Ironwood in Gainesville, Florida. 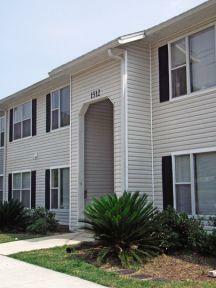 Located nearest to the northern edge of campus, students with a car will be best suited for living in this community. The Ben Hill Griffin Stadium is only a 10-minute drive from Eden Park at Ironwood with most other locations on campus accessible within 30 minutes. Public transportation is available to the community, and the 1 and 5 bus routes will take residents to campus in around 40 minutes. Plenty of opportunities for activity surround residents of Eden Park at Ironwood. Golfers will be thrilled to have Ironwood Golf Course right around the corner from home. The golf course is only a 5-minute drive from their doorstep. For those not inclined to play golf, but who still enjoy the outdoors, the Flatwood Conservation Area is also a 5-minute drive away and offers visitors plenty of hiking trails. When residents seek an indoor activity, they can challenge their friends at bowling at the Alley Gators Bowling Center which is only 5 minutes away by car. Shopping is nearby for residents of the community. When residents want to change up their look, they can travel 7 minutes by car to reach the Gainesville Plaza where plenty of retail shops such as Ross and Burlington Coat Factory await them. Plentiful dining options are also available in the area. Munegin’s on 13th provides happy hour drinks and bar games for those fun nights out with friends, while McDonald’s and Checkers are nearby for more casual fare. Eden Park at Ironwood ensures its residents enjoy their nights within the community as well at those they spend out of it by providing a number of great amenities. Residents can lounge in the community pool or enjoy lunch in the picnic area. The community also has a basketball court for its residents. Each unit is also equipped with all the comforts of home including washer and dryer hookups and central air-conditioning. The community is also smoke-free, so residents can breathe easily.